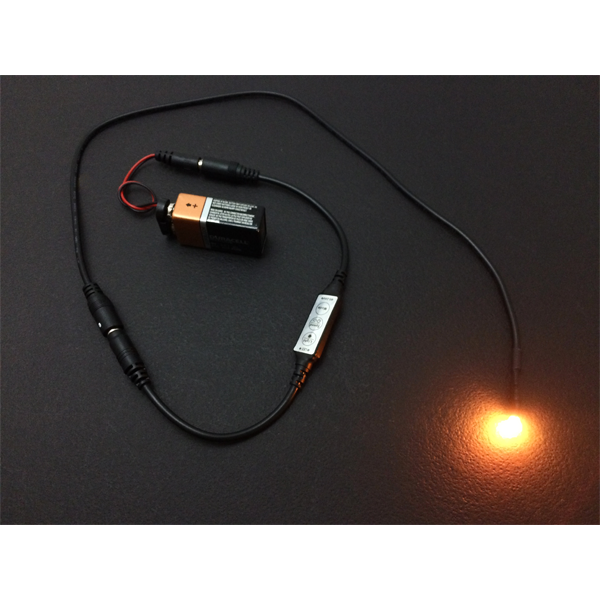 The Prop and Scenery Lights, LLC MEL (Micro Effects Light) is a series of simple low cost LED light sources with a built in DC barrel type connector. 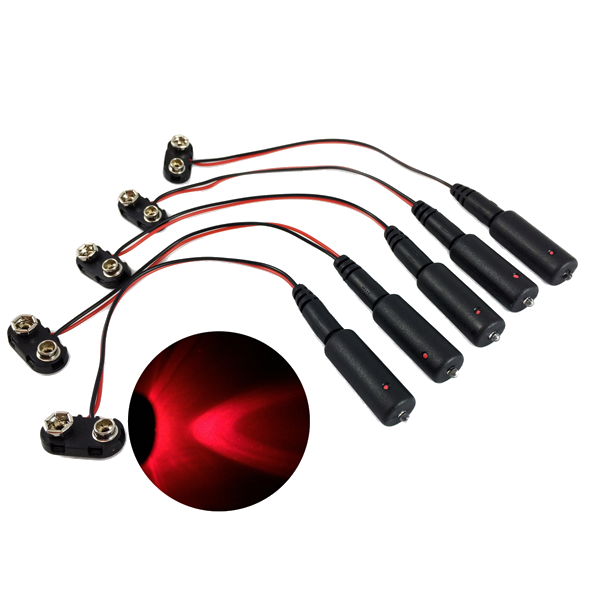 The 2.1 x 5.5mm barrel connector is very common for many low voltage DC power applications simplifying the building of a micro effects lighting system in a modular fashion. 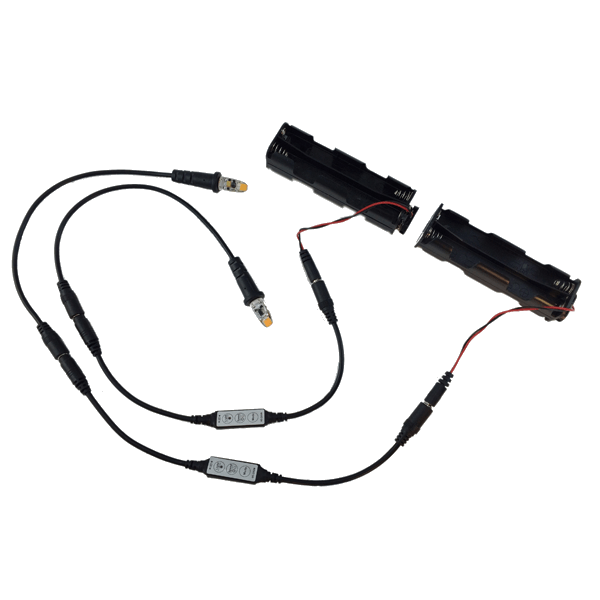 The MEL operates from 9 – 12 volts DC which allows a simple effects system operating from a 9 volt battery possible. 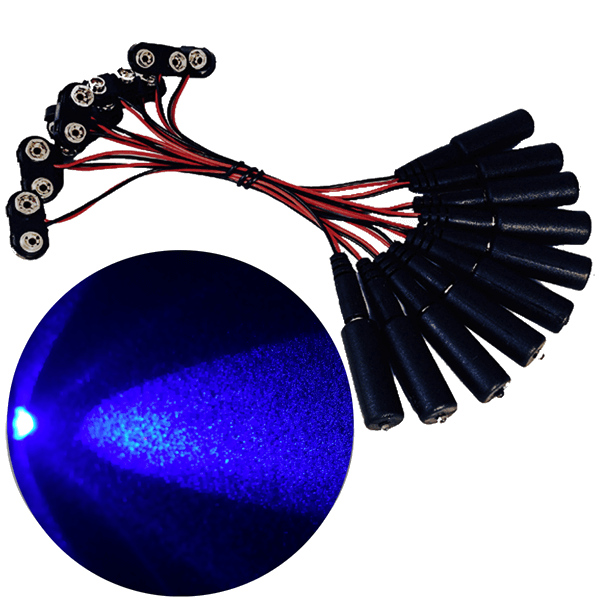 More complex systems with numerous micro effects lights are possible from a 12 volt DC power source. 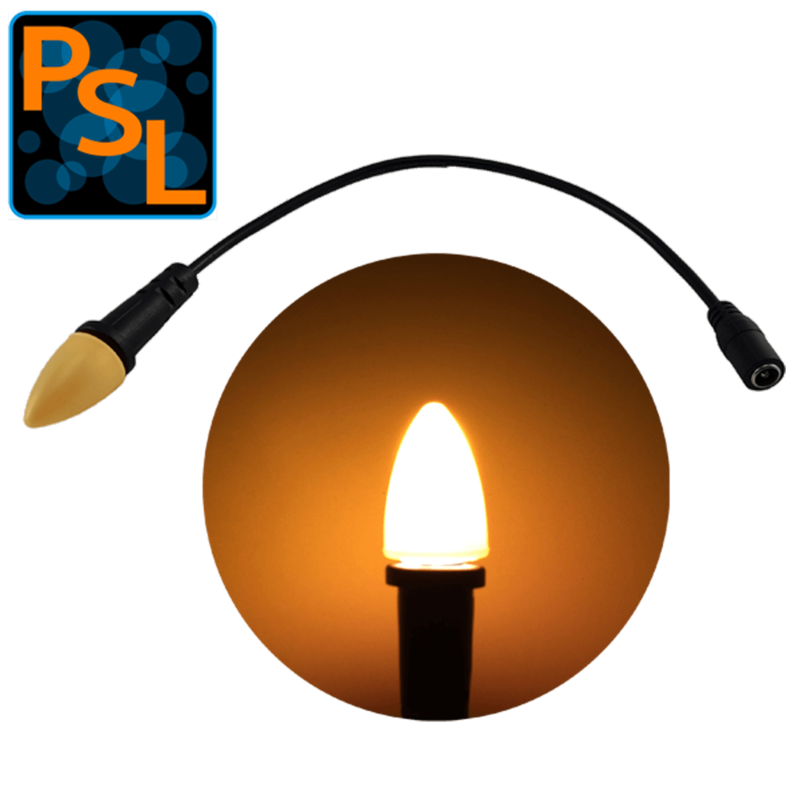 Lighting systems can range from a single MEL to over 100 MELs depending on the complexity of a lighting project. 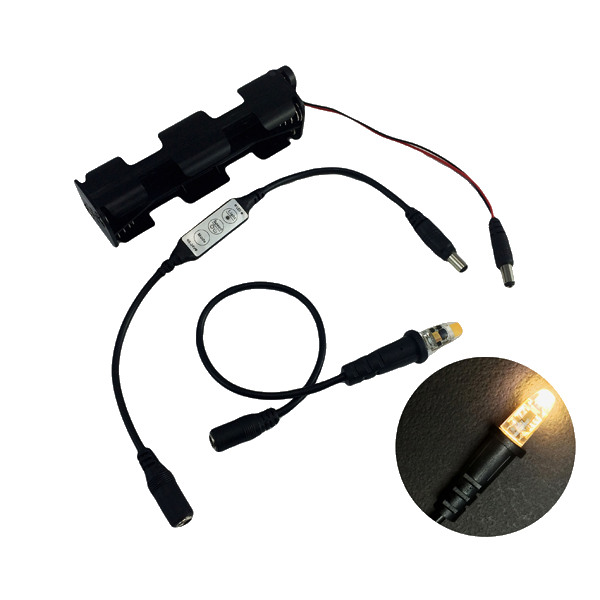 The MEL is optimized for high light output at 9 volts DC with a nominal power of 0.18 watts operating at 20ma ref. With an input of 12 volts, a power consumption of 0.34 watts is typical, operating at 28ma ref. 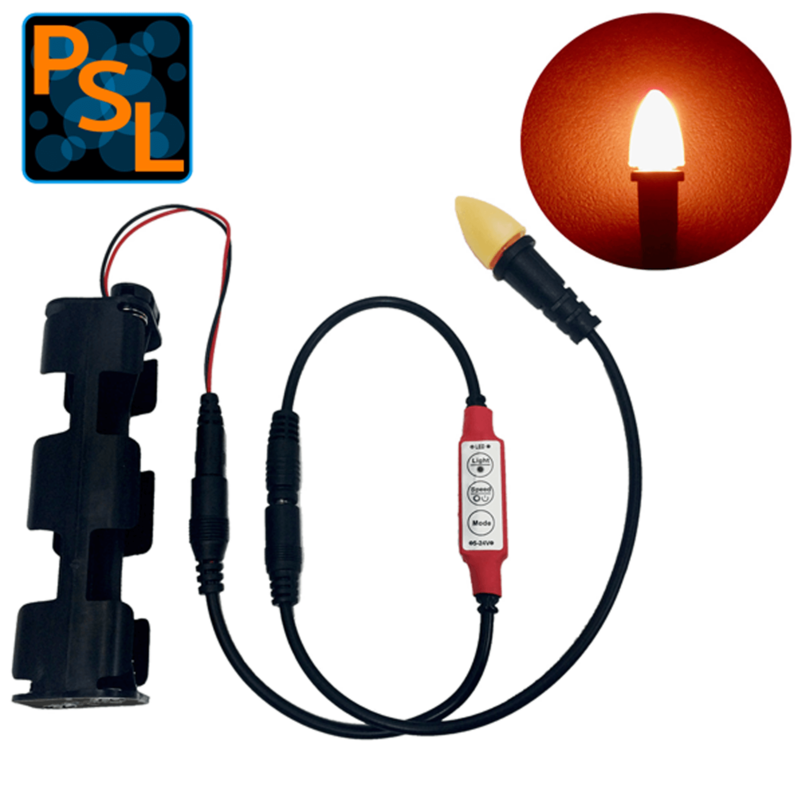 With input higher than 12 volts there is a diminishing light output due to thermal loading of the LED. The MEL is dimmable by either PWM (Pulse Width Modulation) type dimmers or with variable voltage input from 7 – 12 volts DC. The MEL can be made with pure fully saturated LED colors and with phosphor converted colors for a wide color gamut. The LED lens is water clear with a 30 degree output angle for a narrow beam. The MEL may be operated from a 9 volt battery for portable applications. When using a 9 volt battery it is recommended that the number of MELs does not exceed six in order to limit the load current to about 120ma for battery life. 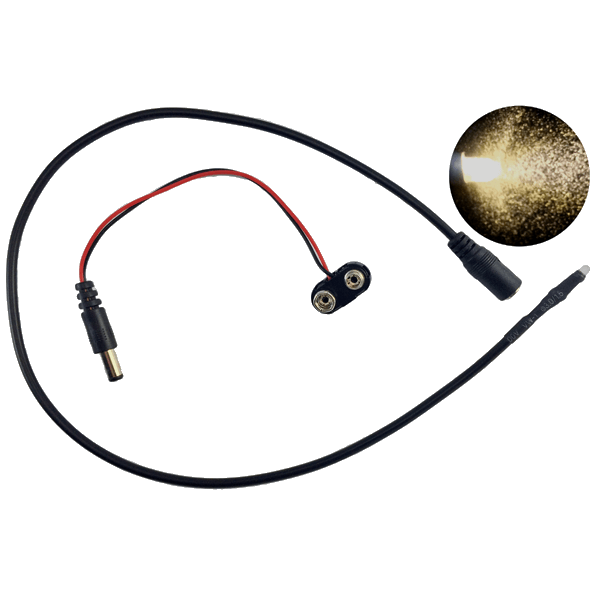 The MEL is equipped with a barrel connector type DC power jack to mate with a plug of the same type. The MEL uses a positive center power connection. 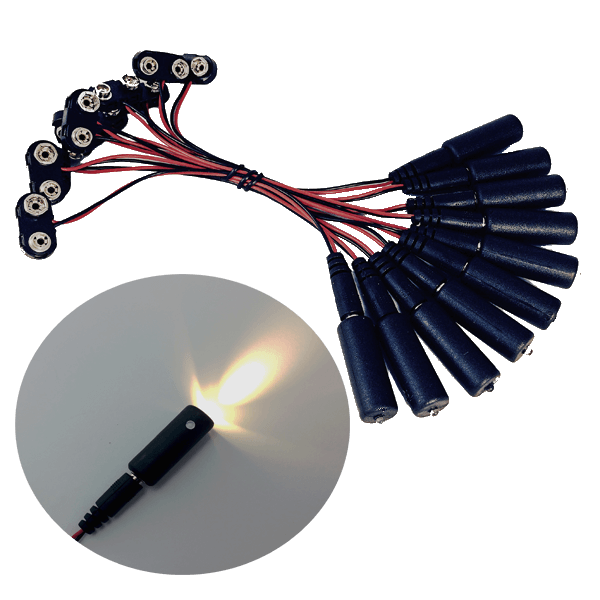 The MEL is compatible with our other LED Lighting accessories of the same connector type which include two and three way DC barrel connector splitter cable harnesses, pigtail harnesses, MED1 Micro Effects Dimmers, 9 volt DC barrel battery clips, and DC barrel-to-wire terminal block adapters. 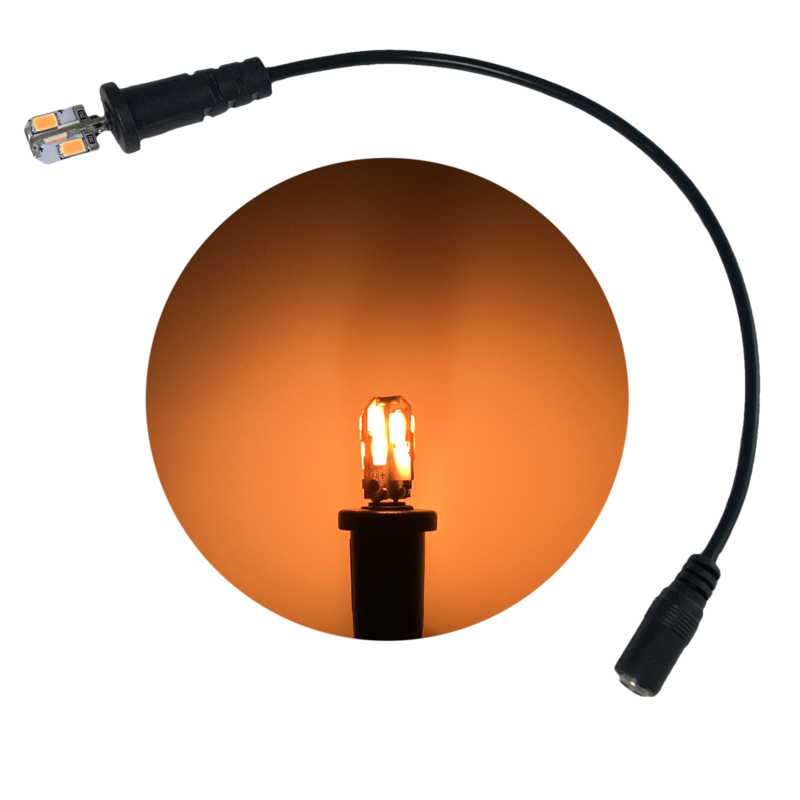 The axial body of the MEL LED is of a small size and molded in black ABS resin. The MEL body overall length is 1.42” (36mm) and the diameter is 0.48” (12.2mm) nominal.